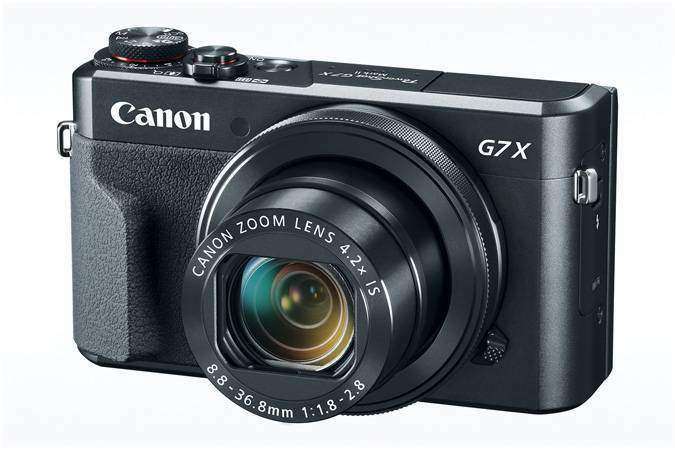 Canon G7X Mark II is well known as a premium compact camera unit for photography enthusiasts. It is designed with metal body finish and possesses 20.1 MP 1.0 type back-illuminated CMOS sensor. Canon EOS R Full Frame Mirrorless Camera Review. Check it out! 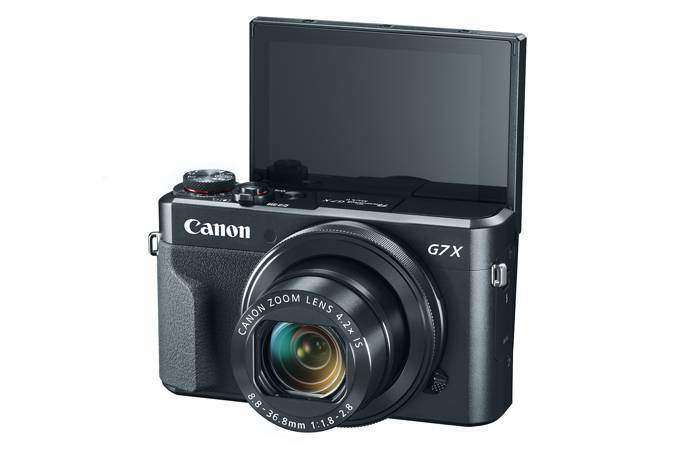 Canon G7X Mark II is supported by DIGIC 7 processor, shooting mode dial, full manual controls, 3-inch tilting touchscreen, ISO range 100 to 12800, Wi-Fi, built-in type pop up flash, NFC connectivity and many more. This camera unit supports Full HD videos but does not have built-in View Finder. Canon G7X Mark II is known for its updated lens control ring, a burst shooting mode that works at 8fps frame rate, advanced focus peaking function, 31 AF points and 14-bit Raw image processing ability. Equipped with a fast lens that ensures useful 24 to 100mm equivalent range. Deep buffer assists in fast burst shooting. Designed with tilting touchscreen type LCD. Easy adjustment of focus with a touchscreen. Ensures great results for depth tracking. The classic grip that ensures easy handling. Loaded with advanced ND filter. Supports in-camera raw conversion ability. Images usually contain some noise. Battery life serves below average. Beginners may find it little difficult to adjust AF modes. AF speed needs some improvement. Dials are not so easy to adjust. Auto ISO system can be little advanced. Face detection is not up to the mark. Canon G7X Mark II has an overall weight of 319 grams including memory card and battery whereas the dimensions are 105.5×60.9×42.0 mm. You may find it heavier as compared to its predecessor; still, it appears easier to handle with its fine grip that is adjusted using rubberized handgrip. Manufacturers have finished this camera unit with sturdy construction and solid feel. Canon G7X Mark II is equipped with 20.1 MP CMOS sensor that supports a number of aspect ratios while staying fixed at a certain angle of view. The image quality of Canon G7X Mark II is improved with wide dynamic range, fine depth of field; it ensures stunning results in low lights as well. There is an easy to handle exposure adjustment dial to avail desired results. The sad part is that Canon G7X Mark II does not have an optical viewfinder and you cannot even add the electronic viewfinder to this device. 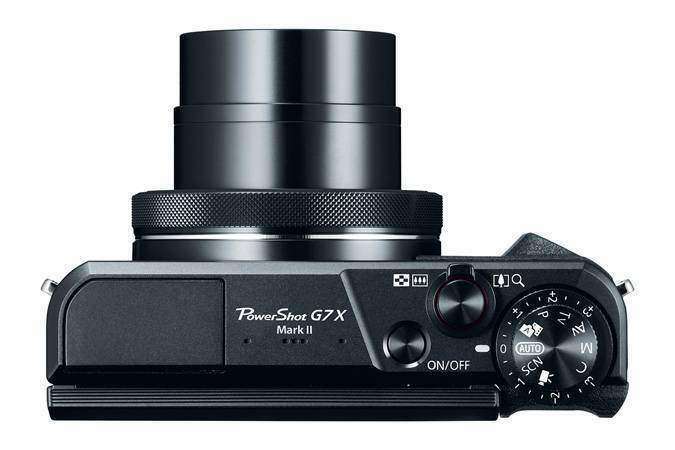 The uniquely designed front portion of Canon G7X Mark II is dominated by its 4.2 x zoom lens that has built-in type self-timer along with AF assist lamp flanking system. Many beginners find it manual controls little difficult to adjust. One option to adjust shutter speed and aperture for fine results is to focus on the combination of rear navigation wheel and lens control ring. You can adjust the lens ring up to 9 different settings using the Ring Function Button. Canon G7X Mark II supports continuous shooting mode that works in association with Tracking AF and provides satisfactory results for fast and slow moving subjects. This camera unit is capable enough to capture Raw images and JPEG images and users can also shoot continuously using AF tracking ability at 5.4 fps. Note that you can use shooting mode dial to choose several modes such as Manual, Aperture Priority, Shutter Priority, Program, Hybrid Auto and Auto Capture. Canon G7X Mark II can support 1080 HD video quality with 30fps and 60fps frame rate. Users can easily adjust shutter speed, aperture, ISO and manual focus peaking rate as well to get desired results. Those who are interested to share captured images further on social media will find this camera unit quite useful with its built-in Wi-Fi capabilities. You can connect Canon G7X Mark II easily to many devices such as a printer, computer, smartphone, another camera and directly to the internet as well. Users can also enjoy remote control on this camera by downloading Canon CameraWindow app that works efficiently on Android and iOS device as well. It also ensures automatic geotagging with advanced GPS data processing ability. Canon G7X Mark II is loaded with lithium-ion battery but it offers short life ability while providing support to around 265 shots with a single full charge. You can charge it using the USB connection with ease. Users can make easy adjustments for blink detection modes and AF assist beam. Captured images can be stored in ADXC, SDHC and SD cards and can be shared with other devices using wireless connections. This camera is considered a great choice for travellers who need a pocket companion for their image capturing needs. The lightweight and compact design of Canon G7X Mark II can assist you better on the go. This camera unit ensures great results for low light conditions while maintaining easy control of depth of field. You cannot find desirable results for sports photography and peak action. The single short life battery unit is also not suitable for those who want to take the camera out for an adventure tour. 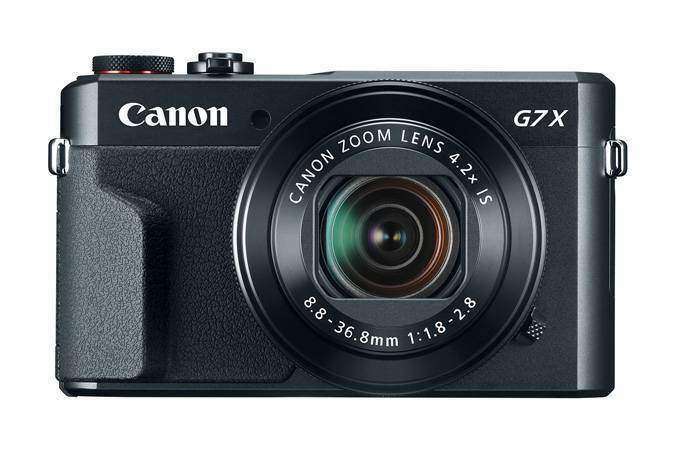 Canon G7X Mark II is a compact and lightweight camera unit that can meet your most of photography needs with its simplistic design and advanced feature set. Experts rate it high just because of its versatile focal range, a large buffer that supports continuous shooting and impressive image quality. Users can also ensure satisfactory results for videography at 1080p resolution level with 60fps frame rate. However, it still demands few improvements over battery life, JPEG noise issue, and sharpening troubles; still, it offers great service over many heavily priced Nikon, Sony, Canon, Fujifilm DSLR cameras. Major strengths of this camera unit are higher responsiveness and competitive video quality at the budget-friendly price range. If you are looking for a camera unit that can produce fine results for colour spectrum at variable light conditions, Canon G7X Mark II can serve you better.